We are announcing a new project that will follow up the SP PA and KM projects. 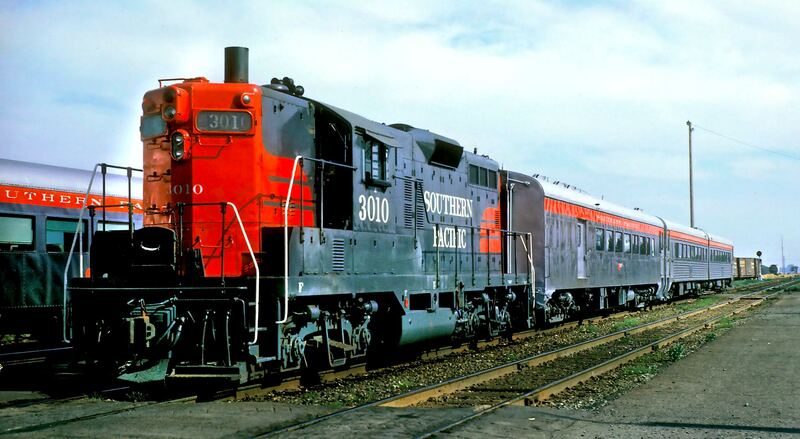 We are going to produce a very limited run (approximately 100 total models) of Southern Pacific passenger service EMD GP9s. These models are being developed by the same team that did the PAs and the upcoming KM project and include world renowned SP 60’s motive power expert Bob Zenk. We will be offering them factory painted and lettered as well one unpainted version. This is a break from the current trend of all factory finished imports. We are doing this because of the limited size of the production run. We are only able to provide one road number and one basic (grey and scarlet) paint scheme per version for this project. The unpainted version is offered for those that want a model of the GP9 at the GGRM. In fact if there are enough reservations of the unpainted model we will be able to offer it in Black Widow as it is today. Please get your reservations in asap so we can see if this is a viable effort. The SP PAs are just about finished and due to be shipped by air from South Korea to Northern California on September 29.